This post isn’t about any great, inspiring big idea. 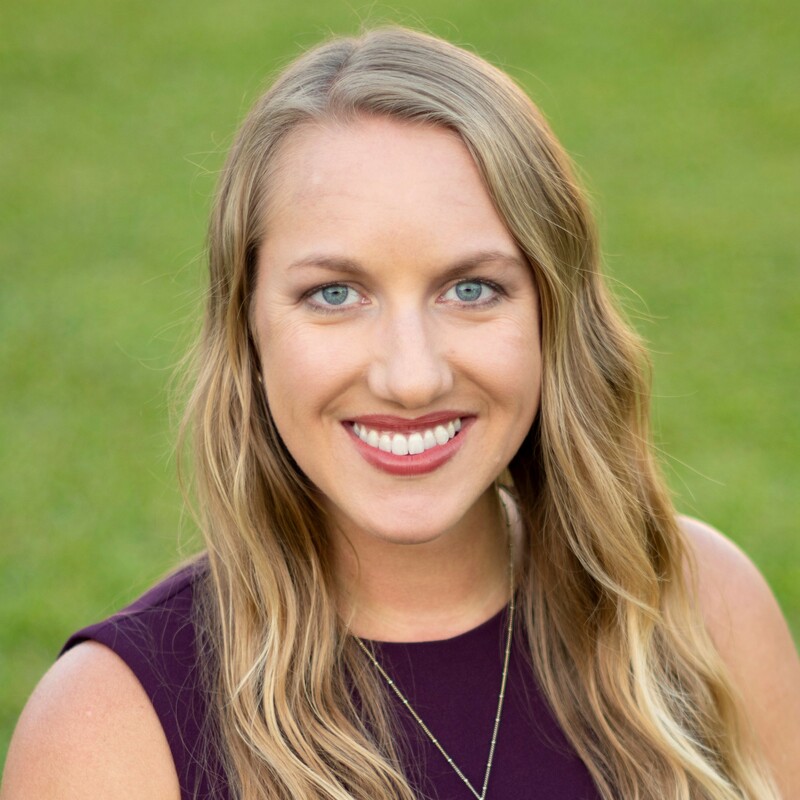 Instead, it’s about how sometimes little things can be big in that they help us build relationships and spark conversations with our students. Our circulation desk, the massive monstrosity that it is, sits right in the middle of the first floor of our library. We are positioned so that we are the first thing everyone sees when they walk into our space. 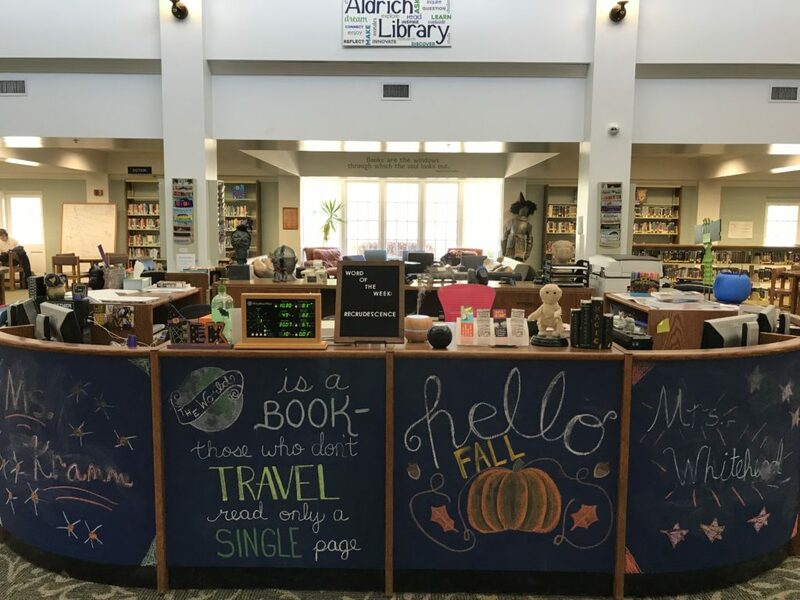 I’ve posted about how I updated our circulation desk with chalk paint, which gave it a fresh look. I usually do the seasonal updating on the chalk art. I invite students to give it a try, but it’s a little time consuming and frustrating, they often find. It’s a great conversation piece, even though people often find themselves “chalked” after leaning on the desk during a conversation with us! We’ve acquired a collection of other fun things that live at the circulation desk that serve as conversation starters. 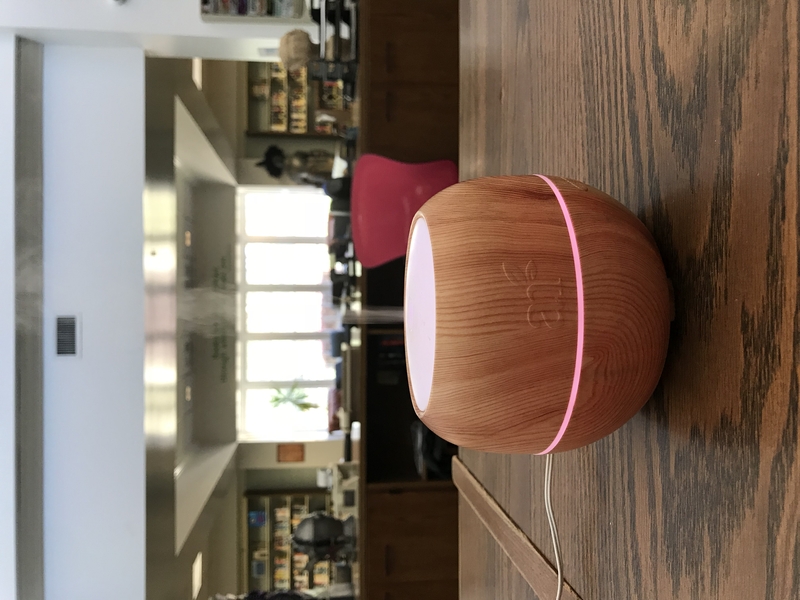 When I ordered our essential oil diffuser over a year ago, I told my partner in crime, “I don’t think this will change our life or anything, but it could be interesting.” A year later, I think she would tell people that it did, in fact, change our lives! We have some students who love taking turns selecting our oils for the day. 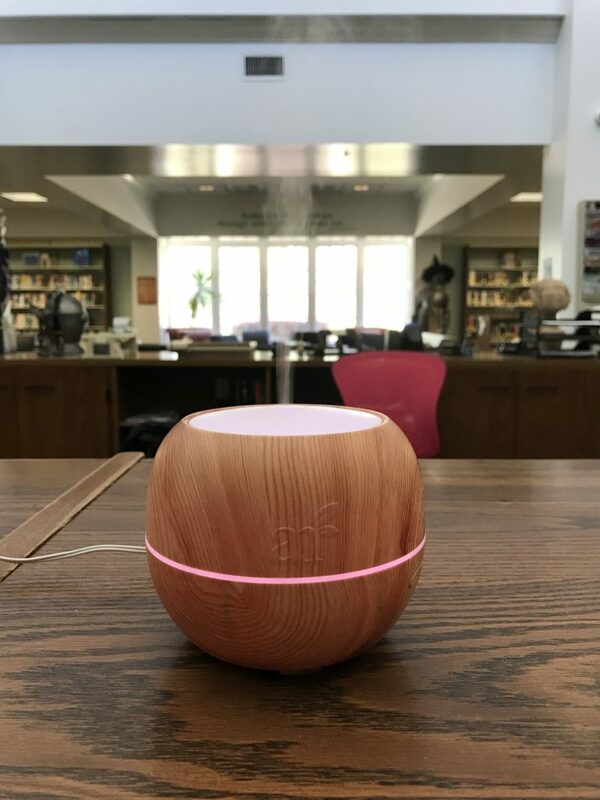 After reading up on the effects of different scents, we usually aim for things that will evoke calm and focus — a lot of lavender and peppermint defusing in the library! We do get lots of compliments on how nice it smells in here, and many of our frequent visitors try to guess the oils of the day. Fun stuff! Another fun toy we have available on our desk is the Magic 8 Ball. Although not completely reliable, our students like to consult it about upcoming tests and assignments. 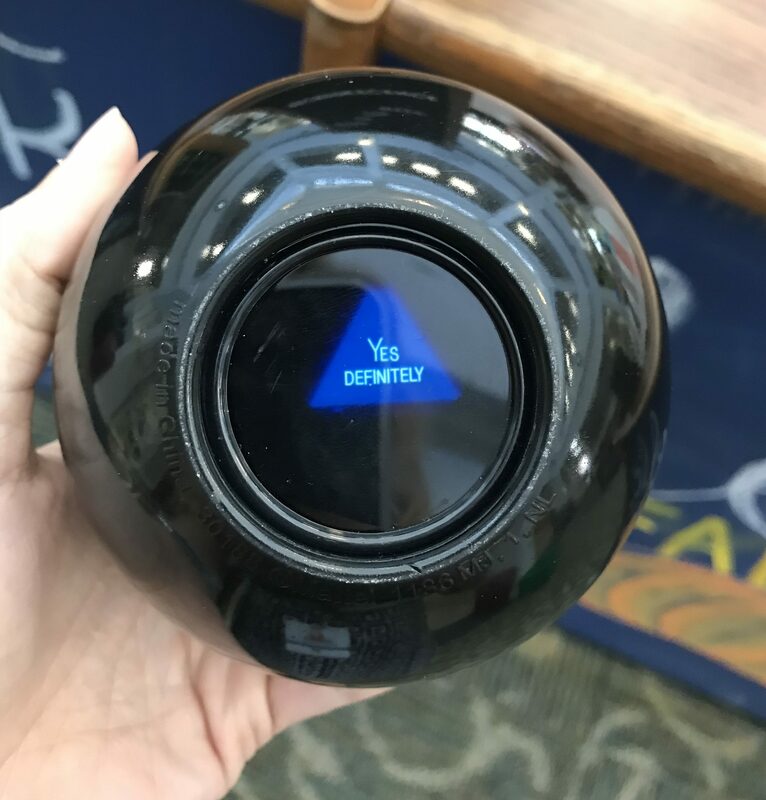 I asked the Magic 8 Ball if little things can have a big impact…and here’s my response (after only two tries)! 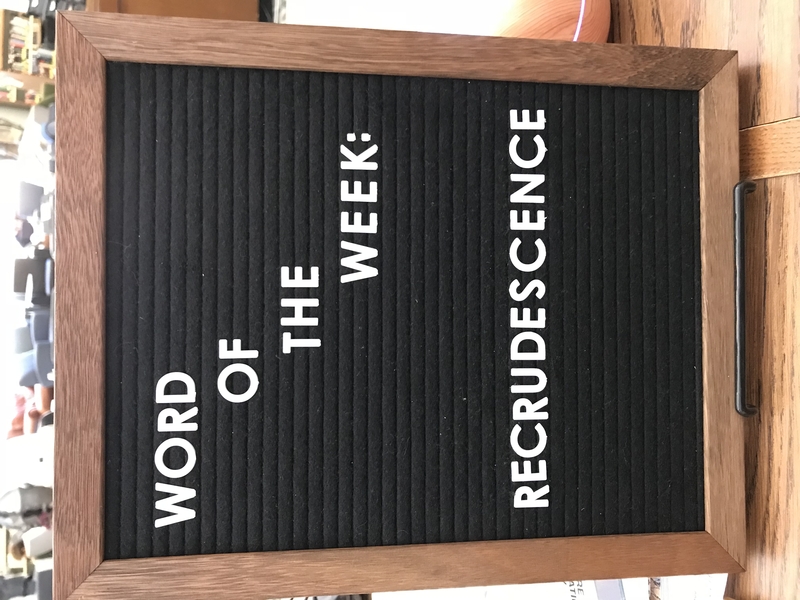 Finally, our newest addition, that actually has a bit of academic weight, is our word of the week display. The board we use was a gift last year from one of our graduating advisory students, which makes it even more special! Students are invited to recommend words, and we have quite a collection going for words requested for future use. On the back of our display board, we tape a page with the pronunciation, part of speech, definition, word origin, interesting facts, and use in a sentence. 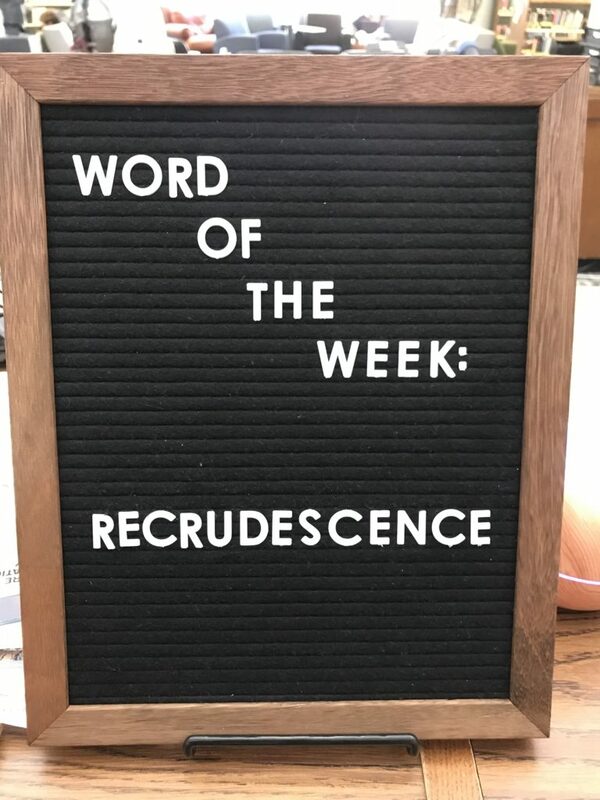 Want proof that our students are really into this word of the week thing? Last Monday morning at 7:35 AM I had a student ask me why I hadn’t updated from last week’s word yet. Needless to say, I did not make the same mistake this week! After several weeks of posting, it’s fun to see how many students are remembering and using the words from week to week. We are also having some really interesting conversations throughout the week with students about the word selections. Sometimes, it’s the little things that keep life in the library interesting! What fun, silly, or weird things do you have in your library that are really relationship builders in disguise? Love this post! I have Madagascar hissing cockroaches and an indoor beehive that I think make our library interesting. The kids love to hold the roaches after check-out. I’m wanting to get a word of the week board and a weather station like yours. Our kids also love the Lego wall and it’s a great hangout area at recess. On the counter in front of my computer I have a large display of conversation starter items–a kalimba made from a sardine can, a few matryoshka sets, several agates, giant sea shells, a dinosaur tooth, etc. I love when students bring it items to add to the shelf!